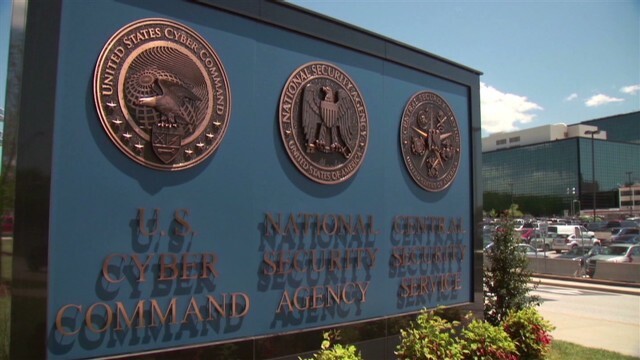 The National Security Agency has come under fire after leaker Edward Snowden revealed the extent of U.S. surveillance programs, enraging Americans who don't approve of the agency snooping on their private activity. Now, the NSA is under international criticism after allegations of surveillance by the U.S. on European allies has strained previously friendly relations. Tonight in the Crossfire: Jesselyn Radack, national security and human rights director of the Government Accountability Project and Tommy Vietor, former National Security Council spokesperson. Radack supports fugitive leaker Snowden, while Tommy Vietor says the U.S. needs to remain vigilant. They join hosts Stephanie Cutter and S.E. Cupp to make their case at 6:30 pm ET. We want you to weigh in. Do you care if the U.S. spies on other countries? At what point and how bad does it have to get before NSA is deemed an agency that is out of control? Doesn't anyone remember Leaders in charge of NSA openly lying to Congress for whom they are responsible? Yet no charges have been filed for that lying? Congress and others are set up to oversee our agencies and when these agencies do nothing but lie, its a HUGE problem for everyone of us who have lost huge amounts of our freedom and rights. Worse yet, where there are no charges against those who lie, it sends a message that lying to Congress and other oversight agencies is OK. Its NOT OK with me and it shouldn't be ok with you!! . Anyone who doesn't see this problem is in denial. Why? Because any agency that can claim government secrets are at stake over every issue for which they are charged is an agency out of control with no checks and balances. How would you like it if an NSA agent raped your daughter or wife and yet you could do nothing about it because the guy involved was working for NSA at the time and is claimed as top secret and can't be reached. How about if you lived next door to such an individual who claimed they would have you locked up for life and not even given a lawyer if you didn't give them all of your retirement savings? They tell you that they will claim you were working with communist countries, they will provide proof via your bank accounts and emails and you couldn't even defend yourself. Suddenly, you disappear and your family can't even figure out what happened? Then the PR campaign and news announcements about how you betrayed this country make it all real to the rest of the world. From what I can tell, being part of NSA is a blank check for murder, theft, blackmail and god knows what else until there is REAL oversight. If you aren't worried about the loss of citizen rights in this country over 911 (where our own country sent a missel into the pentagon and none of our news agencies even questioned it). Our citizens are operating in the dark because messages like that are not allowed to get through or be reported on. Do some research.. hunt the Boeing and find any reckage of a plane at the Pentagon and ask yourself why major news agencies like CNN never even talked about this clear conflict of information. Go buy netflix and watch "911:site" that a small reporting group put together. You will see it didn't happen the way it was reported because a 747 couldn't fit in that small opening on the side of the pentagon That was the begining of a planning by our Feds to get Americans willing to go to war and willing to give up their freedoms under false pretences. Now, poor Snowden is being portrayed negatively so that Obama and others can justfy all the lies they have been telling the American publc as money drains from our country to others. Why would we give Eqypt 1 billion dollars and cut food stamps for the poor? Meanwhile, our own government agencies continue to misuse their positions, and those accountable to our agencies have clearly broken the law!! How is it when the only person who did the right thing – Snowden speaks up, All of the power of the US government is brought down on him? Also, anyone else will now be scared to death to come forward about similar matters after what happened to this poor SOB – who should be hailed a hero. These things are all tied together in case you don't realize it. But do your own research. Ask why a Minnessota man who was beaten and left for dead by a black mob was posted on major news sites for half a day and then removed never to be seen again? Go to infowars if you want to know what is really going on in this country and how your aren't being told the REAL news. A lot of information is being hidden from our citizens to manipulate how we all think. Why is the news media so concerned about The USA having the ability to listen to anyone's phone conversations? This is not new. Every phone in the USA can be listened to by the telephone company and they can interrupt or disconnect you. The USA can have access to your phone calls also, similar to The USA or any Country having access to anyone's phone calls via the telephone company.. You should be happy that we have the skills to do this. Do you think anyone cares about what you are talking about on the phone? If you have paranoia you might be concerned. Do you think somebody is listening to every phone calling in The USA? WE have more than 200 million people that use our telephone system. We could not hire enough people to listen to all these calls. Anyway, who cares? The good thing is that The Government can be selective and monitor the bad guys, terrorists, or other criminals, if they decided some good information is desired. The same scenario applies to all telephones around the world. Nobody cares what people are talking about. The only ones who have to worry are those misfits that should be monitored. I see everyone here was always for the Patriot Act. Correct? Any man or woman that steals information from one Country and take it the information to another without permission from the country named is in his or herself the label a traitor for this is a treason act ,any person who that sides with this person should be charge with treason . I'm relieved and proud that my American government "spies" on all of us. I hope that every email, every cell phone, and even every thought is recorded for our PROTECTION. Crime may be prevented by simply surveilling and awareness of that surveillance. What do you have to hide? In the wrong hands, anything can be damaging to that protection. PS. I like Jesselyn Radack. I would like to hear her declassified.